Top 4 signs you have a rodent problem! You might not realise you’ve got a rodent problem until it’s too late. Here the our top 4 signs of a rodent problem you should never ignore! Gnawing and scratching at night. Squealing, scurrying and scampering. If these noises are familiar to you, steel yourself for some bad news: if it’s not possums, pythons or the fairies at the bottom of the garden, you’ve got a rodent problem. If you don’t act swiftly, one or two rats or mice will quickly multiply into an extended, multi-generational family of freeloaders over the weeks and months to come. Rodents can cause significant damage to your home, make you seriously ill and even put you at risk of a house fire. You might not realise you’ve got a rodent problem until it’s too late. By that time, there’s a well-established rat or mouse population in your home. Here are the top 4 signs of a rodent problem you should never ignore! You should never ignore droppings in your home. The trouble is that they may not be immediately apparent because they could be concentrated in a particular area out of sight; in the roof void, in the back of a cupboard or under your fridge, for example. These difficult-to-access areas are harder to get to and therefore less likely to be cleaned as often as other parts of your home. Within a very short time of having entered your property, your rodents will have carried out a full reconnaissance mission and will have sussed out the safest places to hide. This reduces your chances of spotting droppings until they’re well-entrenched, making them even more difficult to eradicate. Rats and mice have a distinctive musty smell. Once you’ve got rodents in your home, they’ll create and follow urine trails as they travel around your property. These trails can be largely invisible to the naked eye but they’ll eventually smell. Rodents are also effective and highly efficient carriers of disease. It’s not just the floor you should worry about. Once you’ve got rodents in your home, they’ll contaminate food preparation surfaces such as benchtops and chopping boards, posing a significant risk to you and your family’s health. 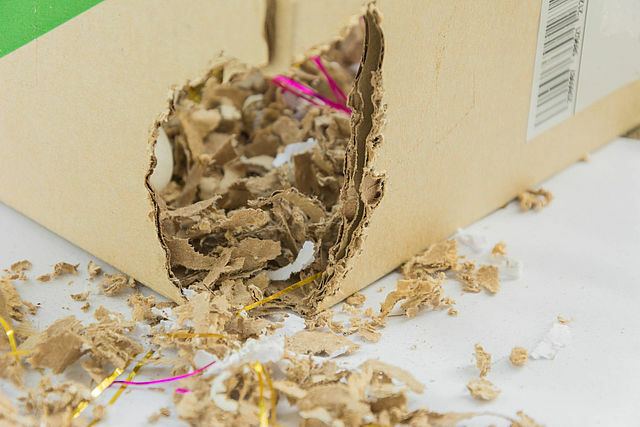 Rodents are destructive critters for a number of reasons. Firstly, they’ll constantly breed. This means they’ll build nests from any paper or roof insulation they come across, shredding it and spreading it around. Also, rats and mice have teeth that are continually growing. For that reason, they’re destined to spend most of their lives gnawing in order to keep their teeth in check. Unfortunately for you, this can mean they’ll be chowing down on your electrical wiring, leaving you susceptible to appliance damage, electrocution and even house fire. Rodent damage can also damage wired-in smoke detectors. If something’s not quite right with your electrical system, you need to check for a rodent problem straight away. Rodents are, for the most part, nocturnal and noisy. They’re high-fiving and limbering up for a busy night of scavenging, serenading, fighting and mating, just as your head hits the pillow. If there are scratching, squealing and scurrying noises in your roof and walls at night time, there’s a good chance you’ve got a serious rodent problem. What’s more, as time goes by, it’s only going to multiply. That said, it’s possible to have a well-established rodent population in your home without any tell-tale signs. They can be cunning and sneaky when it comes to getting access to your home! When you’re taking on rodents, you’re taking on a clever and highly adaptable pest. It’s not enough to exterminate the existing rodent population in your home. You also have to deter others from moving in and taking their place. That’s not always easy to do. Knowing why rodents love your home is crucial to dealing with your rodent problem. You could have the cleanest home in the street but that won’t stop rats and mice from trying out all the tricks in their rodent repertoire to get inside. Your home’s the ideal place for rodents for a whole host of reasons! It’s warm in winter and cool in summer, providing great shelter from the elements. There’s accessible sources of food and water on tap. Naturally, it also offers great protection from the predators outside, like cats, foxes and snakes. Yes, your home ticks all the right boxes for liveability when it comes to rodents. That’s not all. When you’re operating your heating or cooling system, you’re inviting them over. The air that’s circulated inside your home will make its way out through wall vents, cracks and gaps, often accompanied by a waft of whatever you’re cooking for dinner. No building is airtight. Rodents need only the tiniest gap to squeeze through. All they need do is follow their noses and hightail it to your place. The air escaping from your home helps them identify points of access and create scent pathways with urine. They’ll always find their way back in. After all, where there’s a wee, there’s a way! So you’ve got a rodent problem – what next? When it comes to rats and mice, there’s one unavoidable fact: unless you’re the Pied Piper, you cannot co-exist happily under the one roof. One of you will have to go. So, how do you get rid of rodents? The answer is simple: stop rolling out the rodent red carpet! Rodents love your home because you’re unwittingly being the kindest and most thoughtful landlord they’ve ever known. You’re supplying them with food, water and comfortable, rent-free accommodation. Stop it! Carefully dispose of food scraps immediately. If you’re already composting scraps, opt for a rodent-proof system. Vacuum or sweep and mop the floors inside your home as regularly as possible, particularly if you’ve got young children or pets who are likely to leave a trail of crumbs everywhere they go. Avoid leaving dirty dishes in the sink or food bowls lying around once you’ve fed your pets. Chances are, there’s always something left behind in the bowl and it’s a great source of food for rodents. Try to locate and seal any gaps that could allow mice or rats to access the interior of your property. Remember that rodents can squeeze through the smallest of gaps. Often, access points can be the tiny gaps around water pipes; the very same gaps you might initially dismiss as too small to be entry points. You can use commercial gap-sealers, scrunched-up chicken wire or steel wool to seal small entry points. As a bonus, you’ll also be minimising draughts and assisting your heating and cooling system to run more efficiently. Finally, look for and eliminate potential hiding places. Rats and mice have even been known to make themselves at home up off the ground in drip trays at the back of fridges, under dishwashers and inside the external casing of washing machines. That’s why it pays to pull appliances carefully out from the walls. Don’t just look underneath. Use a torch and be systematic when you’re looking for hidey-holes. Once you’ve identified a rodent problem in your home, you’ve got to move quickly. Rats and mice are experts when it comes to reproduction. They’re not limited to breeding seasons, so they’re capable of breeding year-round. The gestation period of a typical house mouse is three weeks, sometimes even less. Females can reach sexual maturity at approximately 6 weeks of age (sometimes earlier) and can have anywhere up to 10 litters a year. That’s why you need to address your rodent problem quickly and decisively. If you’re going down the path of ‘doing it yourself’ when it comes to the rodents at your place, proceed cautiously. This is especially the case if you’ve got children or pets. Many DIY rodent baits on the market are incredibly toxic and can be fatal if ingested. You won’t have the special equipment to safely isolate the baits or the know-how as to their correct placement. You’ll also run the risk of confusing harmless native animals with rodents, with disastrous consequences for local wildlife populations. If you don’t know what you’re doing, you’re stepping into dangerous territory. You could cause more harm than good and still have a rodent problem on your hands. Getting rid of rodents properly can be dirty and dangerous work, but someone’s got to do it. The good news is that it doesn’t have to be you. 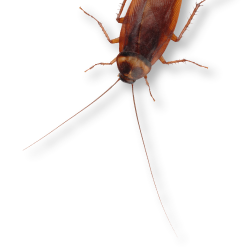 Call the professionals from Prestige Pest Control! We’re more than happy to come and assess the extent of your rodent problem and suggest a range of safe and effective pest control options. If you want to know how to deal with your rodent problem once and for all, call us today on (07) 3356 1400. Need to know how to deal with your rodent problem? Talk to the experts in Brisbane pest control at Prestige Pest Control today!